Kamal El-Ganzouri, who was recently appointed Egypt’s new prime minister, was born 12 January, 1933 in the Mounfiya governorate, which was also ousted president Hosni Mubarak’s home governorate. An economist by profession, he previously served as prime minister from 1996 to 1999, replacing Atef Sedki. He was replaced in turn by Atef Ebeid in 1999. 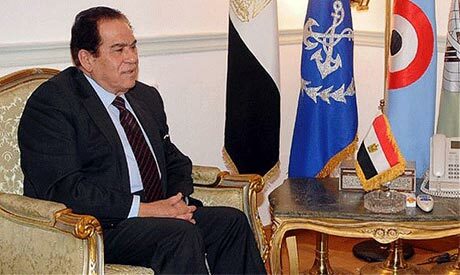 El-Ganzouri was nicknamed “the poor people’s minister" and the “opposition minister" due to his popular way of dealing with Egypt’s limited income segments and political opposition. Before becoming prime minister, El-Ganzouri served as minister of planning and international cooperation from 1984. He began his premiership with four major land reclamation projects. He improved Egypt's relations with the World Bank and International Monetary Fund by finishing the only programme ever completed between Egypt and the World Bank since 1961 after 13 other programmes had gone nowhere. During El-Ganzouri’s tenure, the poverty ratio in Egypt was reduced from 21 per cent to 17 per cent. In October, the public prosecutor’s office for public funds began summoning large numbers of former ministers, most notably those from the economic sector. From the El-Ganzouri government to that of Ahmad Nazif, officials have been accused of alleged violations that marred the sale of public sector companies during the privatization process, which had granted Saudi prince Al-Walid bin Talal 100,000 Feddens of state land. In 2010, El-Ganzouri denied having signed any contracts granting Al-Walid all this state land. At his first press conference as prime minister, El-Ganzouri said that he needed “some time” to form a new government to replace that of outgoing PM Essam Sharaf. The 78-year-old El-Ganzouri, who was officially appointed Egypt’s new premier on Friday, stressed that members of his new Cabinet would not be announced before the kick-off of next week’s parliamentary polls.